An American was heard to say of the Chancellor’s visit – I hope you got something serious in return... He was referring to the perception that the Chancellor did all the giving and China the taking. This just fits the view of the anti-China lobby that China is on the make, fooling those who give, and stealing the jewels in the process. This perception is based, perhaps, on those peoples way of operating, or on a poor understanding of the way China works. It is clear that upon one reading of the communique agreed at the end of the Beijing visit, one could have said it was a Chinese shopping list. But that would deny the many months, and years spent fashioning the shopping list into something acceptable to UK priorities. It is certain that if the Chinese alone had been able to decide what was bought, or invested in, that the list would have been quite different. It would also ignore that the Chinese started investing quite some time back, and the list of agreed priorities fitted nicely into that existing pattern, and into British priorities. The Chinese are wise enough to know that a bad deal does not last, and the negative impact is felt long after. The end of a period of poor government relations, where China was saying to the UK that we are now a major nation and you need to give our core interests respect, was solved by diplomatic public words that underscored that China is now recognised by the UK as a vital global partner in many areas. It is inconceivable that Iran, Syria or North Korea can be solved without the active involvement of China. For two members of the Security Council to be barely talking would render international diplomacy for the UK as a dubious capability. The UK and China needed to get beyond this problem and they did. It needed to be followed up by something special that reasserts the primacy of the relationship, and the commitment of the parties. The Chancellor’s visit was the first top-level visit since the words had produced the opening to move on. Much turned on his ability to convey a forward-looking approach, and develop a meaningful relationship with his opposite number, Ma Kai, who is the Vice Premier for European relations. He is a wise and experienced man who formerly headed the NDRC and is very respected and influential. He was taken by the Chancellor’s approach and the chemistry is said to have gone well. Important in achieving that, it was necessary to be proactive in addressing the priorities of both sides. Most of us who have seen communiques are not used to such lengthy ones, nor ones that show such specific measures. From the British perspective, funding the next generation of nuclear power plants was always going to be difficult. Done. And to those who question the security aspects, let me say our security people must know how to handle that, and the idea that China would abuse its economic opportunity in some insidious way, is to fail to appreciate their long term plans and thinking. To oppose Chinese investment on some generalised expression of their human rights record, would leave the UK in a world with about two nations to talk to. So a great achievement for the UK to get the nuclear deals home. Then property investment projects in areas that the British Government has found challenging to get British pensions funds to invest into. China can see the long term potential and can bring in the tenants to create the valuable covenants for such projects. Clever inward investment. Great home win for the UK. The decision to allow Chinese branches of their banks to operate in the UK, this allowing their head balance sheets to be the basis of their leverage, instead of local capitalised subsidiaries, was criticised as prone to risk. Whose banks are in good shape? Whose currency do we want to make its home in Europe in London? The Chancellor was selling London as a global centre for the Renminbi and the Chinese wanted this as part of that. I do not see the Chinese running their banks badly, over involving themselves in derivatives and leveraging their asset base. The Chinese banks are well run and have performed very well. If the Chinese were to allow a bank to fail their total global reputation would be at stake. The reaction to this reminds me of when my company started China trade in 1952 and no one would accept a Bank of China letter of credit. Eventually a trader of wool tops, Norman Parkinson did, and the rest is history. 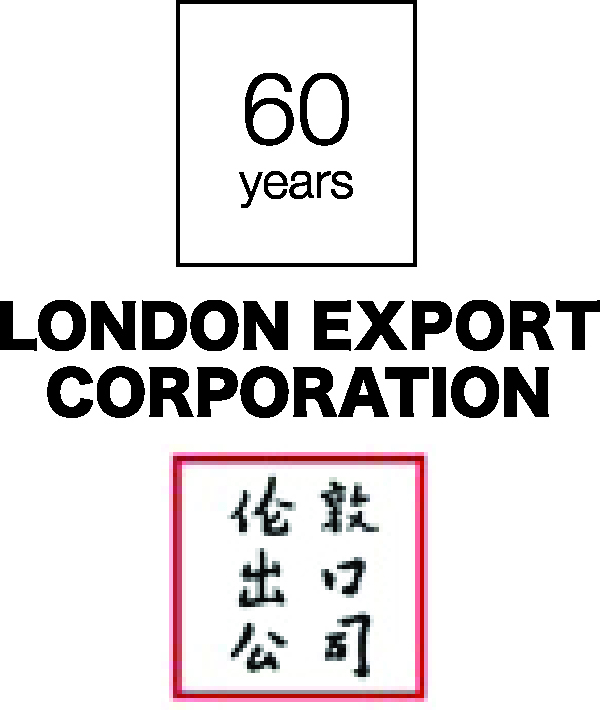 The British interest is to attract volume of Renminbi trading and the use of branches enables more use to be made of London by Chinese banks. How wise the Chancellor was to secure this position for London. Securing mention of the Shanghai Free trade Zone gives us the possibility to access decision makers in its design and ultimate shape. Of course the real decisions will be made by Chinese policy makers, but, perhaps, we can explore a joint venture stock exchange for listings of Western companies, and other ideas which anticipate a huge market economy. This was the most effective British Minister’s visit to China that I have seen in 40 years. He gave in a very controlled way, which the Chinese would have received as being very recognising of their agendas. The fact that these were his agenda as well was never promoted as an explanation. He knew what he was doing, why and did not need to justify himself to the point of damaging the good relationship he had developed. What comes next? Get all this done is what comes next and establish the UK alongside Germany as a key partner in Europe. Now the Chancellor has the ear of the Chinese leaders who were surprised at this proactive Chancellor who was showing independence and initiative. He can now ask for more and get it. He will be careful to ask for what is in the British interests and what is on the Chinese agenda. Next we have the Prime Minister’s visit to China and that will be more formal but enable the relationship to move forward at all levels as the President and Prime Minister meet our Prime Minister. We should wish the Prime Minister a successful and enjoyable trip, and we can rest assured that, like the Chancellor, he will build on the momentum. China is the big opportunity of the next 50 years and the UK is well placed to take advantage of the bilateral and third country opportunities. We should wish them well and support them for their initiative and belief in the UK and for gaining key investments in the British economy. It is a first base objective of a good deal with China that you seek to identify the different objectives of the parties and seek a deal which enables both to co-exist and be satisfied. Often projects with China fail because the parties convince each other they have similar objectives and then find they are pulling in different directions. It is the recognition and acceptance of differing motivations that enables a balance to be found. For the Chinese, the nuclear power project fits within their domestic commitment to nuclear power. They have built over 20 nuclear plants in the last 15 years, and wish to continue to build more. They believe that by involving themselves globally they can benefit from their experience, and develop commercial opportunities for China, as well as helping to ensure that by competing internationally they stay focused on being with the latest skills and technologies. Nuclear energy is one of their core industries going forward to help replace their over-dependence on coal and imported oil. In the area of real estate projects, they are motivated by seeking to devolve away from US Treasuries and these property investments are all development projects which meet their criteria for risk management and return. Involvement in rebuilding areas, such as Docklands, is also of value in helping China learn how to manage similar areas, particularly in North East China. The Chinese decision to go deeper into London’s financial markets reflects their need to be involved in global financing of their global development. It also builds on their aim to reduce their dependency on the dollar for global transactions that do not involve the USA. These, currently, leave the trades exposed to American fiscal, tax and currency policies. They want their currency to be used and it will probably grow from its current global share of 2pc to 10pc. London is the world leader in forex trading, so it is logical they should build the RMB presence in London, which helps both nations’ differing but compatible aims. In Europe, Germany and the UK both seem committed to a positive relationship with China. Good for China in their dealings with Europe. Icebreaking in action by both sides.